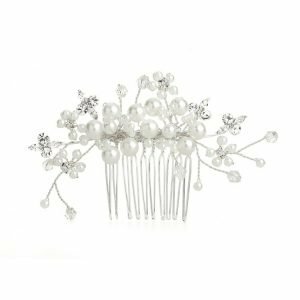 Keep your look simple and beautiful with our crystal and white pearl flower hair comb.At 11cm long x 5 cm high, it is the perfect size for any bride who loves understated elegance. 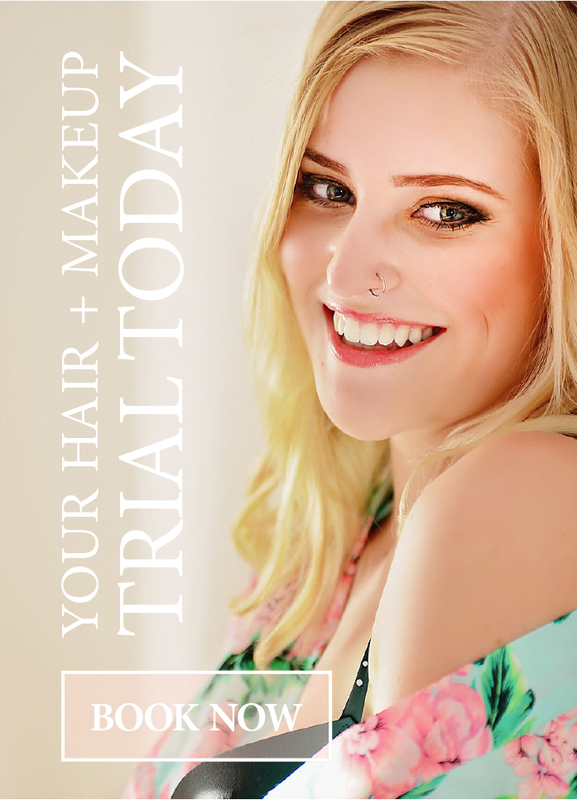 Perfect in any Hair Style ! 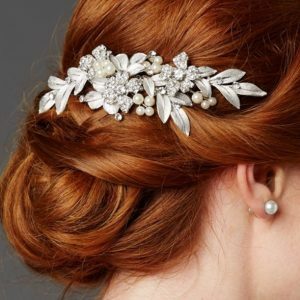 The Crystals and Pearls are attached on s silver coloured wire hair comb. You can bend the wire to shape of your hair. 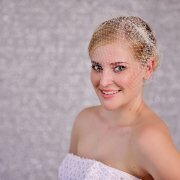 At Stunning Hair Accessory to compliment any Wedding Gown ! Bridal Silver Art Deco Hair Clip. 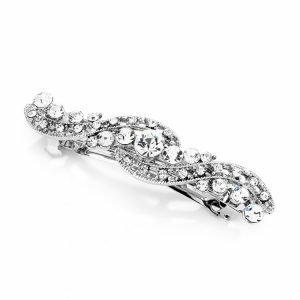 If you love vintage styles, don’t miss this stunning bridal silver art deco hair clip. 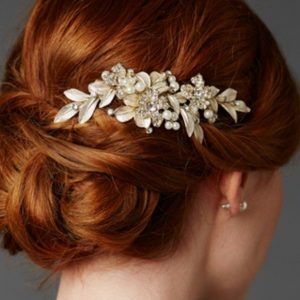 It will add a touch of art deco elegance to any wedding or school formal hairdo. 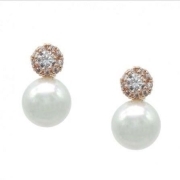 Also great for bridesmaids ! 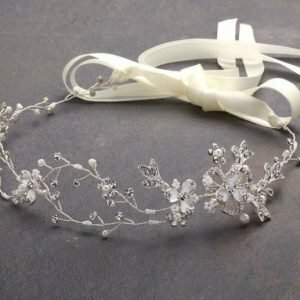 Bridal Vine Headband features hand-painted metallic silver leaves, Swarovski crystal flowers and freshwater nearly white pearls which are entwined with delicate wire creating a breathtaking gold bridal headpiece. 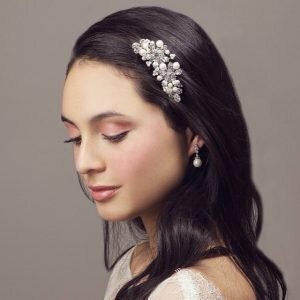 Hand-made with an intricate array of crystals and ivory pearl beading, this hand-painted silver leaf hair accessory is beautiful and captivating. The pieces are flexible and can be easily moulded into a variety of versatile shapes. 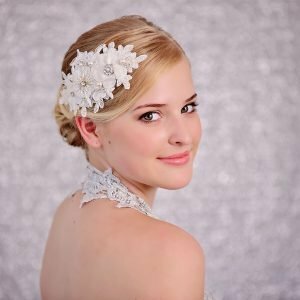 Gold & Pearl Bridal Hair Comb, Beautiful crystals and ivory pearl beading, this hand-painted gold leaf hair accessory will complement your wedding gown. 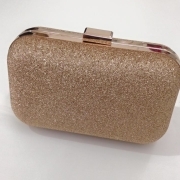 This Stunning Accessory will suit any Hair Style, an Up-style or Down-Style. 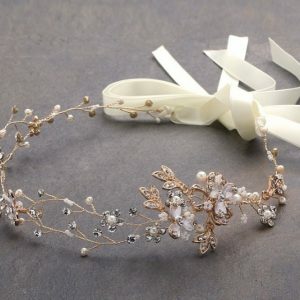 Bridal Vine Headband features hand-painted metallic gold leaves, Swarovski crystal flowers and freshwater nearly white pearls which are entwined with delicate wire creating a breathtaking gold bridal headpiece. 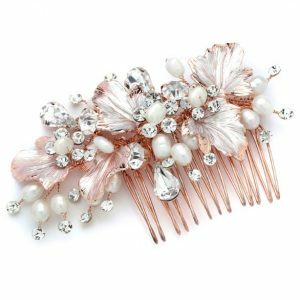 Pearl & Crystal Bridal Hair Comb is a beautifully classic comb made with natural lustre made with very light ivory (nearly white) pearls and sparkly genuine Swarovski elements. This flexible comb can be worn on the side or at the back.